We’ve heard a lot of stories lately about people behaving badly (not to mention criminally), and frankly there are too many stories of harassment to count. The AMIA Board of Directors released a new anti-harassment policy that applies to future meetings. I was pleased to see that they called out the unacceptable behavior of “real or implied threat of professional or personal damage.” Fear of retaliation or professional retribution are powerful forces that keep people from reporting harassing and unprofessional behavior. Simply having a policy isn’t going to stop abusers, but it may make them think twice about their actions. Regardless, I’ve seen too many institutions sweep inappropriate behavior under the proverbial rug, so kudos to AMIA for providing leadership. In the current climate, organizations need to get serious about educating their employees about problematic behaviors and reducing situations where harassment and abuse can occur. HIMSS is coming and it will be interesting to see if the parties are any less alcohol-fueled than in previous years. I was harassed by a vendor sales rep the last time HIMSS was in Las Vegas and didn’t say anything because I just wanted to get away from the situation and forget about it. Thinking back, I’m still disheartened that the other sales folk that witnessed it didn’t say anything either, because they were people I had known for many years. I’m hoping that both victims and witnesses are increasingly empowered to say something and make sure that abusers know their behavior is not OK. Speaking of HIMSS, if you’re planning your wardrobe, too bad you can’t get a pair of Intel’s new Vaunt smart glasses yet. A worthy successor to Google Glass, they don’t look too different from typical spectacles. The main feature is retinal projection, which makes you feel like you’re looking at information on a screen. The glasses don’t have a speaker or a microphone, which saves on weight and adds more normalcy. An early access program will launch for developers later in the year. If they’re looking for any sassy physicians to give it a try, I’m definitely game. 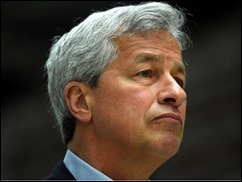 I was beyond disappointed to hear of Jamie Dimon’s comments that walked back the Amazon, Berkshire Hathaway, and JPMorgan Chase healthcare venture. Apparently now it’s only going to be targeted to benefit employees of the three companies, and are sounding more like a group purchasing arrangement than the lofty endeavor we heard about last week. We need someone to shake up healthcare, but to do it in a way that includes a rational business plan rather than hype. I had hoped that these companies would be the real deal, but they’re already sounding like a fizzle. In actual news that might help patients deal with the high cost of care, the FDA reports that 2017 was a record year for approval of generic drugs, with 843 medications receiving full approval. I haven’t seen any statistics on “formerly generic drugs that we let manufacturers re-brand and drive up the cost” such as Colcrys, but I’d like to see what that category looks like over the last several years. Despite a generic being available again after the three-year period of exclusivity for Colcrys, prices haven’t dropped anywhere near the historical price of generic colchicine. It was around 10 cents a pill prior to Colcrys, then went to $5 per pill, and even the generic still sits near $4 per pill ($2.50 if you can find a really good coupon). I get that it’s capitalism at its finest, but for patients, it’s terrible. Even though we’re seeing a spike in flu cases, we have many patients coming in with severe illness because they’re trying to avoid medical costs. Patient deductibles reset on January 1, and with many more patients using high-deductible plans, cost of care is right in front of them rather than months later when the explanation of benefits arrives. My practice’s cost of care is higher than it might be at a primary physician, but still significantly less than the emergency department, so patients are often pleasantly surprised at the end of their visit, especially if we’ve had to do a significant procedure such as a laceration repair or a CT scan. Our physicians are very conscious of our charges and how we fit into the overall healthcare expenditure scheme, so we can educate our patients as they make choices. I wonder how many physicians truly understand how much the care they’re delivering costs and what value it does (or does not) bring. Every day I meet physicians who are having quality metrics data entered on their behalf and reported behind the scenes so they can check a box to avoid payment penalties. They have no idea what their actual numbers look like and aren’t using them to change how they deliver care. Now that is truly a waste of time, money, and effort. The best thing I did this week was rearrange a meeting to be able to watch the Falcon Heavy live stream on Tuesday. Many kids dream of being an astronaut, but I took it one step farther and wanted to be the first doctor on a permanent space station. I figured by the time I finished medical school and residency, certainly we’d have civilians living and working in Earth’s orbit. That dream wasn’t to be, but I still find the idea of space travel fascinating. In some ways, my generation became somewhat spoiled by the seemingly “routine” nature of the Space Shuttle program even with its tragic accidents. Movies like “Apollo 13” and “Hidden Figures” gave us a new appreciation of what it took from a STEM perspective to make space travel possible. I still can’t believe we put people into orbit and later went to the moon with human computers and slide rules making it possible behind the scenes. Hopefully a new generation of kids will be inspired by what they saw this week and will do some deeper digging. The Tesla may have been the first midnight-cherry roadster launched into space, but three other electric cars went before it on Apollo 15, 16, and 17. The story of our journey up to this point, both manned and unmanned, is inspiring. We need many more young people to be as fascinated by science and engineering as they are by pop culture and social media if we’re going to solve some of the biggest problems we’ll face in the next hundred years. If you didn’t have a chance to watch the launch, I highly recommend viewing the video, especially when the side boosters re-enter and land, starting around seven minutes into the flight. When I read this announcement, that is exactly how I interpreted it and it actually made sense to me because with over a million covered lives, they have a pretty significant incentive to get it right. But I’m also guessing that IF they get it right, they’ll have used this Beta test as a feasibility study and it’s not unlikely we’d see Los Tres Amigos promote their tried and true plan to other companies. I even went so far as to conjecture which software vendors they’d use to build their own network and be able to compare data across companies, etc. Yes, we do need someone to shake up healthcare, and if these guys are as smart as they’d like us to believe, they will demonstrate that they did do it in a way that includes a rational and well-documented business plan rather than hype. This approach – company running its own health programs has been tried a dozen times before going back to the 1940s. They’ve even run their own clinics, hired own docs, etc. Doesn’t change much. The real irony is that the problem started when companies gave health care as a fringe bene to avoid wage increases and kept expanding benes year after year. Came back to bite’m hard. The only way a company today can really reduce health care costs is to deny expensive procedures to their employees (using whatever excuse they can come up with…same way HMOs do it). And based on 50 years of experience I doubt they have the fortitude to do that. The sad part about this story is that Colchicine has been used for hundreds of years, just like aspirin. It works but we don’t really know why. So the Colcrys folks went to the FDA and said they would do clinical trials to ‘prove’ it works with little side effects. Something we have known for 100 years…but no trial stats to ‘prove it’. Colcrys convinced FDA this should be done and as compensation they would get brand protection. FDA agreed. And here we are, from 10 cents to $10.00. Aspirin probably is next…by the way you can get it from Canada for about $2.00 /ea.